From the Varvatos Star USA ‘red label’ comes this ‘Serge’ wool vest. 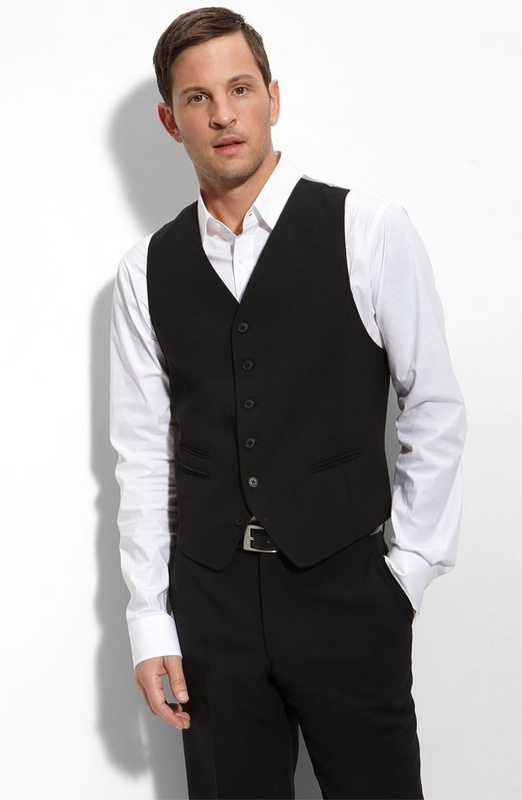 The six-button vest is accented with striped fabric at the back, and features welt pockets in addition to a ticket pocket. The solid black fully lined vest helps step up your look, and is available online now through Nordstrom. This entry was posted in Uncategorized and tagged USA, Varvatos Star. Bookmark the permalink.